Whether you are signing up with your first online casino or are a seasoned pro when it comes to online gambling, you will always check out the welcome offers available before you begin registration. Online casinos like to induct their new players with offers that may include deposit bonuses, free bets and other rewards so that their first moments playing in their new casino is as exciting as possible. With a market as big as online gambling, the countless casinos strive to offer the best welcome offer to new entice customers. At NetBet Casino, their Welcome Package consists of a welcome bonus and free spins when you make your first deposit with them using the bonus code, ‘NBWELCOME’. This offer is available to new players, only on their first deposit and can only be used once per person, household or IP address. In the casino you can get a 100% welcome bonus up to €200 on your first deposit which you can use anywhere in the casino, be it slots, card games or at the live tables. On top of the casino bonus, you’ll also receive 10 free spins to play Age of the Gods on NetBet Vegas. There’s a promotion for every day of the week once you get settled into playing regularly at NetBet Casino. On the Promotions page, you can go to the Daily Deals tab and see what you can take advantage of today. Maybe it’s a deposit bonus, free spins or a cashback deal. Whatever it is, you are sure to get to the end of the day with a satisfied smile and maybe a pocketful of winnings. All week, every week, NetBet Casino selects a new slot to be their Game of the Week. It’s always a title that is the top of its field, with the sleekest graphics, best bonus features and incredible design so players can rack up the rewards while enjoying an excellent game. During the week, when you play the selected game you will gain double NetPoints towards the Players Club loyalty scheme and be in with a chance of winning €100 in the prize draw. Speaking of NetPoints, you will gain these loyalty points as you play any of the casino games during your time as a member. Build them up and you could end up trading them for cash, prize draw tickets or luxury goods. The more you play, the higher you climb up the Players Club Status levels, all the way up to Elite where you can get 4.5x the number of NetPoints as you did as a Bronze member. 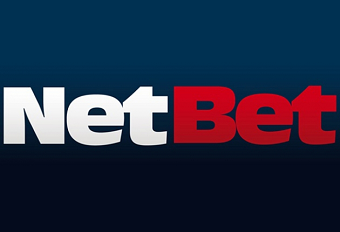 Imagine taking the entire NetBet Casino wherever you want, to play whenever you feel like it. Well, that dream is a reality when you log into NetBet Casino from the browser of your mobile device. You’ll find that the NetBet Casino site that is fully optimised for the smaller screens of mobiles and tablets, so now all you need is an internet connection to play your favourite games. NetBet Casino is dedicated to making the most of technological advances that can improve their customers gambling experience. As with all promotions, there is always the small print to read which could mean the difference between losing out on a sweet deal or going home with great prizes. It’s best to read all of the Terms and Conditions before you enter into any promotion, but it is always handy to bear in mind a few industry-standard rules to make your casino experience that little bit easier. The first thing to think about is the wagering requirements. This is a stipulation that means bonus winnings, from either a deposit or free spins, must be wagered a certain number of times before a withdrawal can be requested. NetBet Casino’s wagering requirements are typically set at 30x, so if you receive a €10 bonus you will have to wager €300 before that balance will be available to withdraw. If you have a preferred e-wallet to make your deposit, then it is worth checking to see if they are participating in your promotion. Skrill and NETELLER do not take part in NetBet Casino’s welcome bonus and other one-off deals so you would have to find an alternative to benefit. There are other little things to look out for too, such as minimum deposits, time limits and prize availability which may seem small but might affect your decision to take part. For example, if the prize is a holiday then you might only have a limited time frame to take it.